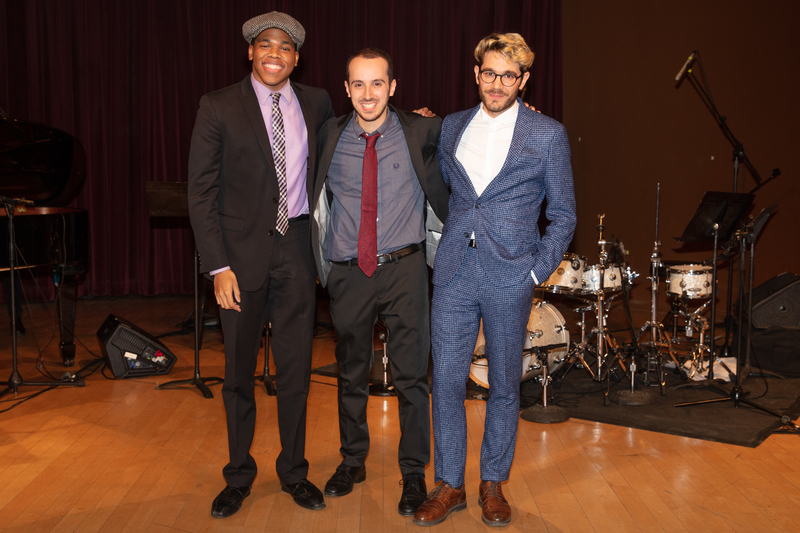 The Semifinals round of the 2018 Thelonious Monk Institute of Jazz International Piano Competition concluded Saturday evening with the selection of Tom Oren (Tel Aviv, Israel), Maxime Sanchez (Toulouse, France) and Isaiah Thompson (West Orange, New Jersey) as Finalists. The three talented pianists will participate in the Competition Finals on December 3 at the Kennedy Center in Washington, D.C. At stake will be a guaranteed recording contract with Concord Records along with major scholarships. The Competition Finals will take place on Monday in the Kennedy Center’s Eisenhower Theatre before an illustrious panel of judges including Monty Alexander, Joanne Brackeen, Cyrus Chestnut, Herbie Hancock, Jason Moran, Danilo Pérez and Renee Rosnes. The evening’s program will consist of performances from Oren, Sanchez and Thompson beginning at 7:30 p.m. followed by an All-Star Gala Concert featuring a tribute to late music icon and Institute supporter Aretha Franklin. The evening will conclude with the presentation of the Maria Fisher Founder’s Award to Institute Advisory Board member Dee Dee Bridgewater, followed by the announcement of the first, second and third place awards. The Institute congratulates all of the 2018 Competitors on their incredible performances and musicianship, and thanks them for their participation. Click here to purchase tickets to the Competition Finals at the Kennedy Center. Click here to learn more about the 2018 Competition.